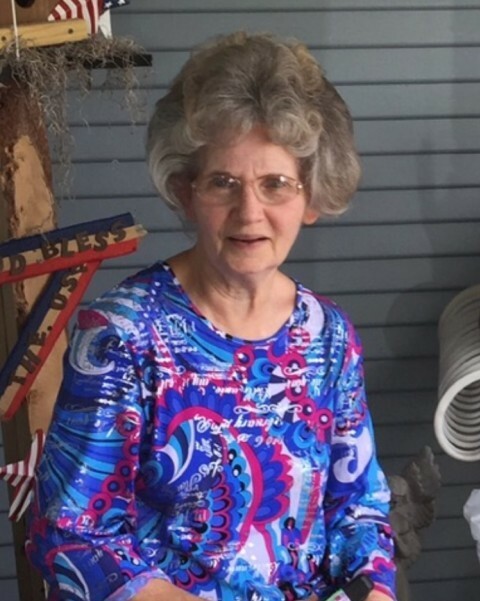 Georgia Ann Jones DuBose – age 75 of Hull passed away September 3, 2018, in a motor vehicle accident that also took the life of her husband, Harvey Lamar DuBose and her grandson, Travis Layne Jordan. Ann was born May 7, 1943, in Sabinetown, Texas the daughter of the late Franklin Frederick Jones Sr. and Maudie Lorene Whitmire Jones. Ann will be remembered for being a great Mother, Wife, Grandmother, Aunt, and Sister. Her cooking will be remembered by many for her numerous fantastic dishes. She also enjoyed spending time with her family and friends. She was known as a professional shopper, but she also loved to garden and sew. She worked for over ten years at the US Postal Service as a clerk and also held a cosmetology license. She was a devoted member of the Daisetta United Pentecostal Church. She leaves behind to cherish her memory her children: Dwayne (Patti) Zeigler, Charlotte Zeigler, Shane (Allie) DuBose, Melissa (Roger) Jordan, sisters Lorene Chance, Inez Ferguson, Mary (Shelton) McGraw, and one brother: Frank Jones Jr. In addition, she leaves her grandchildren: Felica (Jim) Gresham, Tasha (Jason) Webb, Clint (Tisha) Zeigler, Zack (Megan) McKenzie, Amanda Ard, Keith (Brittany) Ard, Chelsea (Justin) Anderson, and Chase Jordan. She also leaves nineteen great grandchildren and four great-great grandchildren. Visitation for Ann will be held Monday, September 10, 2018, from 5-8PM at the Apostolic Church of Beaumont, 3333 Eastex Freeway Beaumont, Texas. Funeral Services to be held 11AM, Tuesday, September 11, 2018, at the Church. A graveside service will be held 2PM, Wednesday in Pine Hill Cemetery, Pineland, Texas. Condolences and memories can be shared online at www.allisonfuneralservice.com.